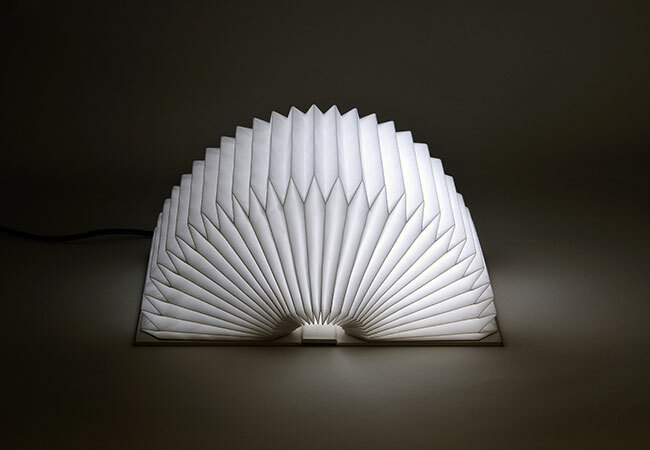 Lighting for when only a little of it is needed – especially before going to bed. Don't you do some small stuff like reading a book before going to bed, do you? This is the light for these situations. 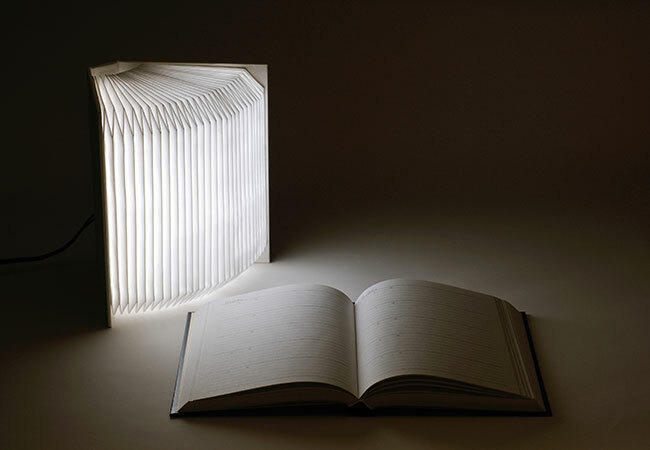 This light is designed like a book, so you can adjust an amount of lighting by how widely you open the book. 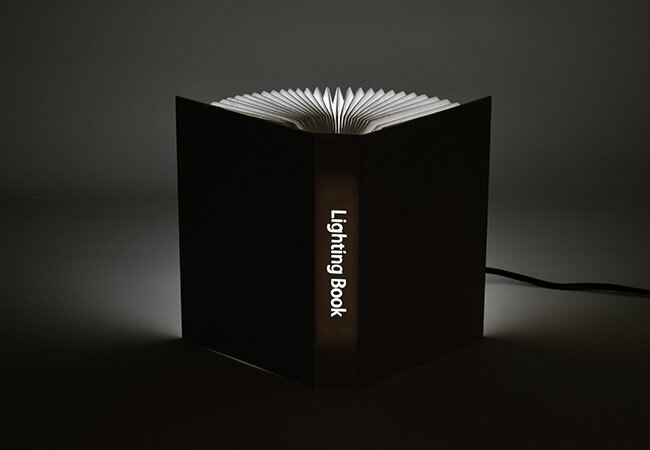 The size of Lighting Book is A5, the same size of other books you may have. Opening the book turns the light on, and closing turns it off. 2005:Won a prizes at Interior Trend Show JAPANTEX2005 "Akari Image"